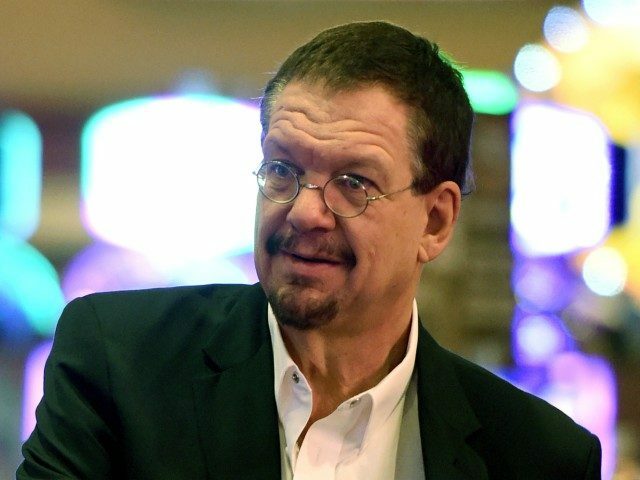 Magician and comedian Penn Jillette railed against Brandeis University’s decision to cancel a play about famous comedian and social critic Lenny Bruce in a recent op-ed for USA Today. The play, Buyer Beware, was written by Brandeis University alumnus Michael Weller and focused on a fictional Brandeis student who plans to perform a provocative stand-up comedy routine in the style of Lenny Bruce that touches on hot-button political issues. The main character, Ron, is threatened by the Brandeis administration with academic probation in the hopes that he will cancel his performance. Ultimately, Ron performs his routine and students protest. The play was canceled after an uproar by students who claimed that the play was overly critical of Black Lives Matter. They suggested that Weller, as a straight, able-bodied, white man, should not be able to criticize the Black Lives Matter movement. “F ’em,” Jillette finished, referring to the students who shut down the play.